Are you wondering how it all began? Whenever I run into Circuit Cellar fans at conventions or techie-type gatherings, many invariably mention either how they’ve enjoyed following my projects and career since BYTE magazine or that they’ve recently discovered Circuit Cellar and wonder where it came from and how long it has been around. Certainly, if the tech-publishing world was apolitical and less competitive back in the day, someone might have published an unbiased account that wasn’t completely Silicon Valley-centric. Unfortunately, no other magazine could interview me and relate those events without appearing to promote BYTE or Circuit Cellar at the same time. I guess it is left to me to tell you how Circuit Cellar magazine started. Photo 1: Here is my 8008 computer built in 1974. 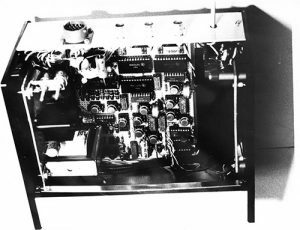 It ran at a blazing clock rate of about 200 kHz and had 4 KB of static RAM, 4 KB of EPROM, serial and parallel I/O ports, and a tape cassette “mass-storage” interface. When I was a high school student, I made a college-prospecting trip to MIT and visited one of its computer labs. One of the more intriguing “toys” was a computer graphics “space war” game. There was probably a whole building of mainframe computers running the game, but I was instantly hooked on the technology. The player sat in front of a 21˝ black-and-white screen that depicted a certain sector of the known universe and navigated his way across the galaxy using joystick-controlled thrusters, phasers, and a lot of luck. Of course, he had to compensate for gravitational effects, thrust vectors, asteroid encounters, alien intruders, and whatnot. Needless to say, the thrill of dealing with a dynamically changing artificial intelligence, albeit a game, was intriguing. I had to have one of these. Even though I later attended an engineering school that also had the latest mainframes, they neglected to dedicate one to a space-war game for me. Perhaps if they had, I wouldn’t have visualized still building such a game a few years later when a little California company named Intel began making some interesting “microprocessor” chips. While most people waited until the 8080 or 6502 to discover computing, back in 1974 I had an 8008 homebrew system running immediately after it appeared (see Photo 1). I paid $120 (converts to about $500 today) for that 8008 chip, and to this day, I remember sweating as I powered it up the first time. Would it be puff, pop, or hum? Well, it worked. Eventually, I had an LED and switch entry interface panel, 4 KB of RAM, 4 KB of EPROM, a tape-cassette interface, serial and parallel I/O ports, a CRT terminal based on Don Lancaster’s TY Typewriter, and a 2-KB, hand-assembled operating system. (Comparable technology today would be a Core i7 processor, 16-GB RAM, a 2-TB drive, and three high-definition monitors. The cost would be comparable too.) I even built the computer using 5400-series, military-grade logic chips to ensure its reliability and a power supply that could melt iron rebar. The only elements missing for my game were a graphics display, a joystick, and a lot of programming. At the time, the typical graphics terminal cost at least $15,000. The controllers for them were the size of a refrigerator and the local power-generating plant had to be notified before they were turned on. Just as I was about to give up, I ran into an ad from a small company in New Hampshire that sold surplus equipment from Sanders Associates and Digital Equipment Corporation. 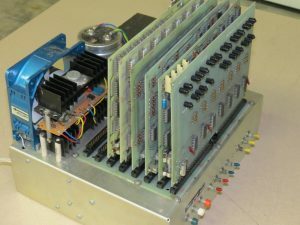 While there were the assorted $30,000 bargain PDP-11s and $10,000 1-MB hard drives, there was a closeout listing for a truckload of Sanders Associates 12˝ graphics display terminals (with analog vector driver boards) but no external controller units. The price was an unbelievable $250 each! After all, who could use it without a controller? Photo 2: The surplus Sanders Associates analog displays were essentially big oscilloscopes. By having the computer continually send a series of analog XY values to the display, it would draw lines between these points. As you can see, line drawings can be quite versatile. Within 24 hours of reading the ad, I was on the dock of a dusty old warehouse in Nashua, NH, bargaining with the dealer for a Sanders unit. He seemed like a nice fellow who really wanted to unload this junk to as many happy experimenters as there existed. He even threw in an extra set of driver boards to “help spread the word.” Grinning profusely, I drove home with a giant terminal stuffed in the back seat. Back then, the difference between big computers and little computers was that big computers needed big interfaces and little computers often needed only little ones. Rather than a refrigerator-sized unit, I built an 8-bit, parallel-port driven vector generator in less than half a cubic foot. The Sanders display itself was essentially equivalent to an oscilloscope driven in the XY mode (see Photo 2). The controller I built was technically nothing more than two 8-bit D/A converters (one X and one Y) tuned for the Sanders unit’s deflection range, some added slope timing controls so you could see the screen trace between end points, and a blanking signal generator. Needless to say, the display worked wonderfully. I could draw complete pictures on the screen using a simple technique of describing end points and drawing lines (called vectors) between them (see Photo 3). 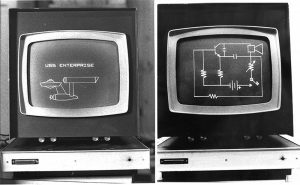 Photo 3: Unlike raster-scan TV sets or LCDs today, the drawing technique I used in my first project was analog vector graphics and the displays were essentially big XY-input oscilloscopes. The driver electronics consisted of two 8-bit DACs with a defined delay slope between setpoints. Around the same time I started reading a new magazine dedicated to computerists called BYTE, and I began corresponding with the then editor-in-chief Carl Helmers as well. When I told him I had a vector graphics display suitable for microcomputers, he asked if I would write an article about it. While I had never written anything more than technical manuals, I agreed to try. In the resulting article, I described the physical assembly of the vector graphics display and the program for generating a line drawing of the Starship Enterprise on the screen. A neat first try if I do say so myself. Because I was a complete neophyte who trusted people beyond belief back then, I also decided to do a favor for the one person who had helped solve my display problem. I sent a copy of the unpublished manuscript to the surplus dealer who sold me the terminal and explained that a DIY project would be featured in an upcoming issue of BYTE demonstrating how easily an interface could be built for his “product.” To my surprise, about five weeks later, as I was browsing through a computer magazine considered to be a BYTE competitor, I came across the vector graphics article I had written. It had the surplus guy’s name on it along with mine as coauthor! In the middle of the article was an ad for a complete graphics controller kit based on the article, as well as the Sanders Terminals. Say what? After a few frantic phone calls, I found out that the magazines were archenemies and learned how politics between publications is sometimes a nasty fact of life. This surplus guy turned out to be fast friends with Wayne Green, the competing publisher who had a personal feud going with BYTE, owned by his ex-wife Virginia Green. Apparently, publishing my article first in 73 Magazine was a scoop intended to embarrass BYTE. When I confronted them with this discovery, they made profuse apologies and immediately sent half of the article fee (remember: coauthors). They said they regretted not notifying me properly and then told me I should feel gratified to see it published nonetheless. Yeah, right. I called Carl Helmers to apologize for being a jerk with this surplus guy. Through that experience and conversations with others, I learned such stuff was old hat and that the two organizations had been playing “hide the manuscript” and “who’s publishing it first” for quite a while. Bad attitude and subterfuge were part of the standard operating procedure. In fact, Carl was the one who apologized to me over the whole situation. He promised to publish the vector graphics article if I rewrote it. Needless to say, I did the rewrite and the new article turned out to be a smashing hit among the readership. Of course, the other publication would never talk to me again because I had joined the enemy. Carl then asked me to write a series of three projects, which were equally well-received. Shortly thereafter, we agreed on a regular project presentation each month called “Ciarcia’s Circuit Cellar.” That was 35 years ago! Of course, that was before I had to make a living at it, before all the dot bombs, and before everything computer-related became ultra-serious. Back in 1977, I was working as an engineer for Control Data Corporation and microcomputers were still considered a novelty. They definitely didn’t interest a big computer company like Control Data, and it actually was considered a negative if you even brought up the topic. Any personal interest in the subject had to be kept low key, bordering on secret. Of course, some friends just can’t keep secrets. 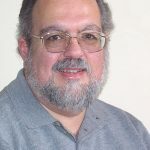 While I am known best for many years of straight hardware design projects, my earliest BYTE articles were laced with humor and stories describing the “whys” and “what fors” associated with my monthly creations. One particular BYTE article in 1977 went beyond that premise. I described my life at Control Data after I had made the mistake of telling my work associates that I had a personal computer. In short, they wanted to use my new Z80 computer to predict gambling odds at jai alai games (ahead of its time, but completely legal, mind you), and the article described how we set the computer up in a motel near the jai alai fronton (the court) to “shuttle the numbers.” The article started: “The following story is true. The names have been changed to protect the innocent but, frankly, there aren’t any innocent parties.” Up until then, I had stayed under the radar with my BYTE articles; but since Control Data expected to review its engineers’ potentially publishable work, that really blew the lid off. Needless to say, confronted with the prospect of a corporate career towing the party line and censorship, we parted company. Even though I immediately started a job with another local company, I didn’t stay there long. BYTE was on a winning streak and so was I. Unlike most other articles at the time, “Circuit Cellar” projects were commercial grade and intended to be built and used. It didn’t take a lot of project presentations to recognize a growing demand for the actual components. In early 1979, I started a company called Micromint with a partner in Long Island (whom I later bought out) to sell kits and support “Circuit Cellar” projects. So what about the magazine? We haven’t gotten there yet. There’s a bit more to the story. For the next bunch of years, my entire focus was on producing engineer-level projects to publish in BYTE with commercial-grade products as the spinoff for Micromint. It was a vicious, albeit glorious, cycle. The greater the sophistication of “Ciarcia’s Circuit Cellar projects,” the more BYTE was dependent upon keeping the column running and the more engineers and workers I needed at Micromint to manufacture and support current and past projects. Any sane engineering manager would do a single product design on an 18-month cycle. We were making six to eight products a year! The good news was that while we were filling the piggy bank from all this activity, by default we were also creating the ingredients to potentially to do it all ourselves as well. More importantly, in order to keep raising the wow-factor of Circuit Cellar projects (like video digitizers and 64-processor Mandelbrot generators), I had to enlist some exceptional talent. 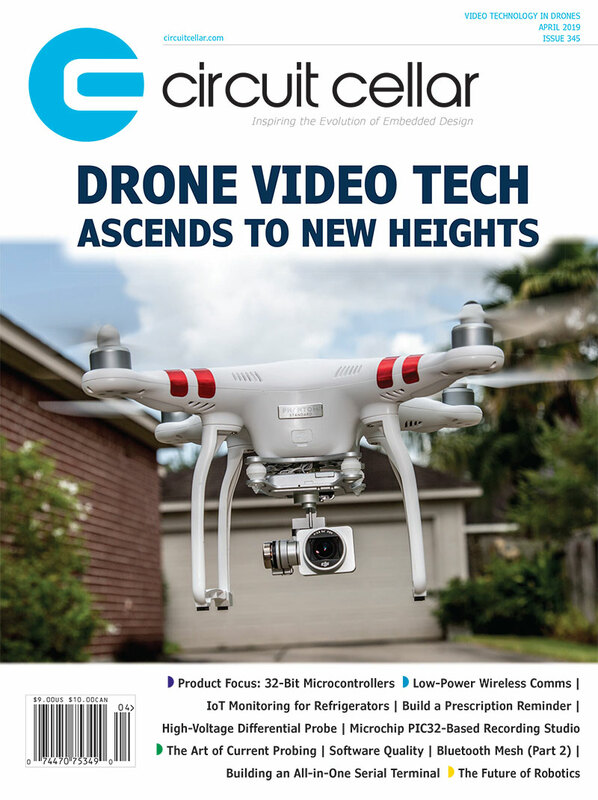 The name of my column was “Ciarcia’s Circuit Cellar,” but it never would have succeeded or ultimately turned into this magazine without the dedication and expertise of Ed Nisley, Ken Davidson, and Jeff Bachiochi as part of the technical team that made it all work. During the same decade all this was going on at my end, BYTE was experiencing significant changes as well. Originally conceived for experimenters like me, BYTE eventually morphed into a magazine that covered all aspects of computing. Its great success didn’t go unnoticed for very long and it was purchased in the early 1980s by McGraw-Hill. For a few years, they left BYTE management and editorial direction alone, but eventually got overly obsessed with competitors like PC World and PC Magazine. Consequently, they decided to change BYTE’s editorial direction to be more and more PC-centric—especially no more Robert Tinney covers. As you might guess, a “hardware hacker” column (their term) like mine was incompatible with their new commercial view of life. One of the “Circuit Cellar” projects was indeed a full IBM PC-clone, but I wasn’t ready for “generic” computing yet. When asked if I wanted to “stay on” and review equipment instead of making “hacker” (their word) projects, I smiled and declined. There were more than a few disaffected individuals at BYTE and there was a ready pool of expertise if I wanted a third alternative. During the meeting with BYTE management, I asked if they’d have a problem if I started a little “newsletter” while I finished out my contract. “Sure, Steve. What do we care?” was their reply. Gotcha! A couple years before, then-BYTE publisher, Dan Rodrigues, had left to come join me in Connecticut and run Micromint. His first statement upon hearing about BYTE’s redirection was “How about we start our own magazine?” We had the staff, the expertise, the credibility, the support, and most importantly, the money. It was time to go for it. Circuit Cellar was conceived and designed to follow the same success track of the original BYTE. If you take a close look and compare the mastheads of an early Circuit Cellar and an early BYTE (circa 1980), you’ll see that Circuit Cellar was run by the same key people—some experienced individuals indeed. They included BYTE’s publisher, circulation manager, financial controller, lead columnist, support team, cover artist, and national advertising representatives. Circuit Cellar was on national newsstands with the publication of its second issue. With Tinney covers, the Nisley, Davidson, and Bachiochi support team, and the significant expertise of Dan Rodrigues, Jeannette Dojan (who later became my wife), Tom Cantrell, Dave Tweed, and many others, we were on a mission. We were neither an undercapitalized small publication with publish-or-perish goals nor a large-company, big-budget extravaganza with inflexible P&L targets. Instead, we were a gathering of eagles descending from a cloud of vultures whose sole purpose was to once again publish the best computer applications magazine around. What was true then is still true now. The essential ingredient in any successful publication is great content and a dedicated core audience. The core audience consists of readers who personally identify with the purpose and value of a publication. In the extreme, publications with strong identities even develop unique “personalities” that core readers form lasting relationships with. Depending upon a publication’s purpose, the composition and necessity for a dedicated core audience varies. I don’t generally think of PC World or TV Guide as being particularly concerned about core audiences. But, a technical magazine like Scientific American, which is designed for a minimum level of scientific understanding and interest, has almost a cult following. Publishers have to be careful when they change their goals. Unlike time-critical news or event-based magazines, core-audience-critical technical publications have to be constantly aware of their prime directives so that they don’t dilute or ignore the core audience while in a frenzy to meet financial objectives. Circuit Cellar kept its eye on the ball even when it meant doing it ourselves. Realize that no one is celebrating BYTE’s 25th anniversary. A circulation manager once described the delicate process of circulation revenues to me in the following way: Think of carefully breaking an egg in the center of a spinning turntable. At the center is a well-defined, boundaried area (the yolk) surrounded by an almost infinitely expandable unboundaried area (the white). Metaphorically speaking, the yolk is the core readership and the white is the publication’s general-interest audience. Expansion and contraction of readership and revenue is dynamic. The rotation rate of the turntable represents a complex compromise of editorial, reader, and revenue objectives. When the platter spins at a reasonable rate, following a well-planned path, the yoke will remain intact and the white will expand out uniformly. However, if an abrupt change in objectives spins the platter very fast or with sudden acceleration, the situation changes radically. Initial appearances can actually misrepresent actual results. The white will indeed expand out very quickly and appear to demonstrate substantial gain; but left unchecked, this applied energy can rupture the yoke and cause the core audience to spill out at the same rate of expansion.